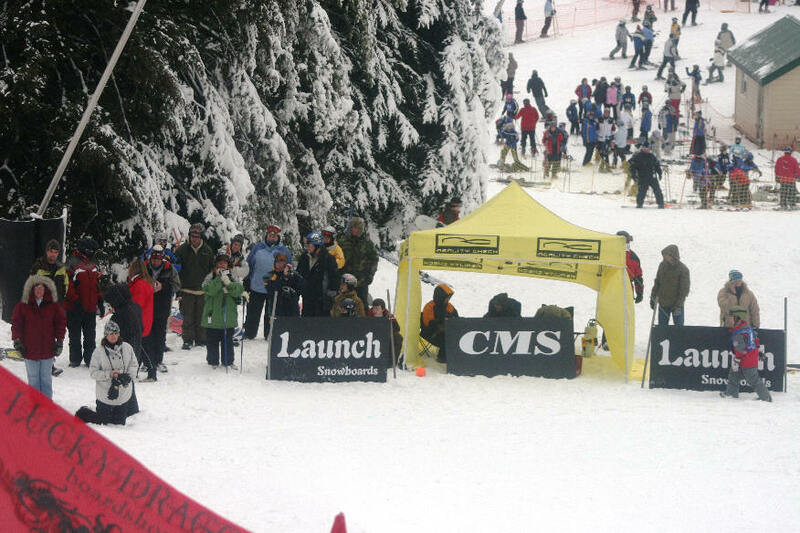 This was a special day - the season's DEBUT of the Windham Halfpipe. The very first day it was finished and open for riding. 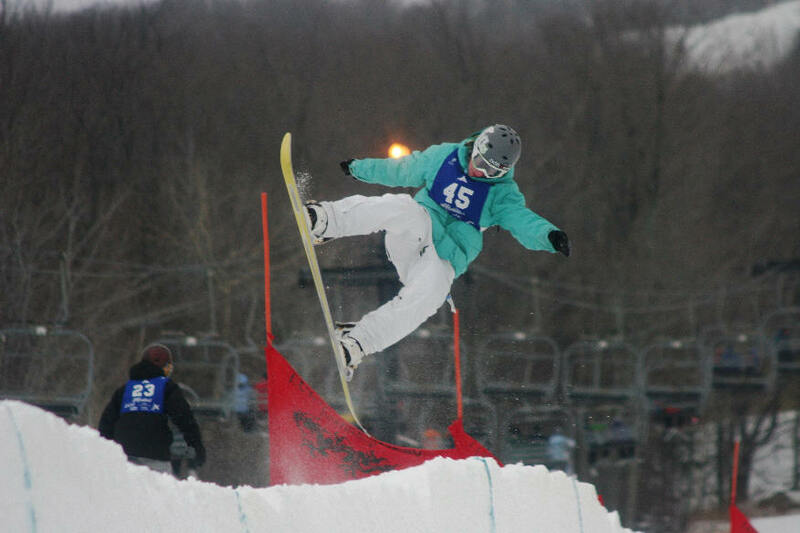 And the USASA competition had the honor of christening it. 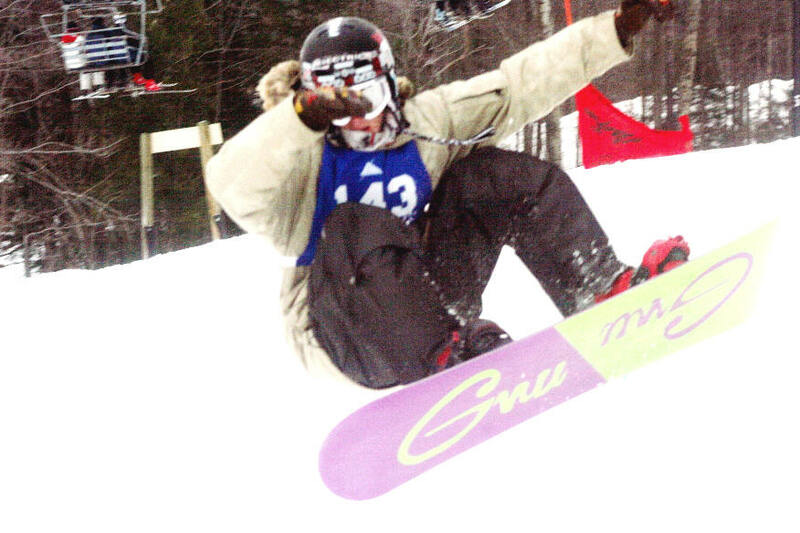 It was the first halfpipe open in the state of New York in 2007 as far as we know. Windham piled snow, shaped, and carved for 60 hours straight with all hands on deck by the park and pipe crew, to get this pride and joy pipe ready for the competition. The pipe is over 500 feet long, with walls 12 or more feet high. Nice solid fairly smooth walls. with just a few holes. Windham used their new piece of equipment, the Zaugg Designer to shape this monster. The pipe was purposely shaped a little narrow from wall to wall as the season opens, and it will get wider over time as the walls get recut. This is a delicious pipe to ride right now, and I found myself going higher up the walls than usual. Maybe it was me, or maybe it was the pipe. The run that it is on is just the right pitch, with no nasty double fall line, and the walls are not over vert. The pipe is close to the bottom of the mountain for easy "walk up" viewing. And it is visible from the lift for convenient chairlift gawking. By the way, for some reason I've been only riding the same 3 trails in my previous visits to Windham. I just found out there are runs I never dreamed of here, and a whole separate set of runs on the far peak of Cave mountain that look so far away they could be another resort! 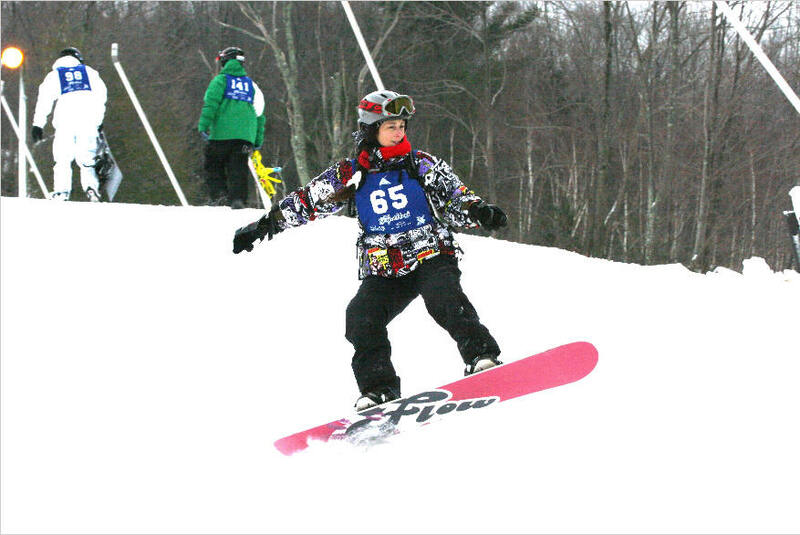 And there are terrain park features all over, besides in the main park. The run called "Why Not" was like nothing I've ever seen with huge 20 foot mogul rollers that made you feel like an ant cavorting in a bag of giant marshmallows!